Gulf Shores Alabama Waterfront House For Sale. This custom rustic modern 3BR/2BA home is not your average cookie cutter it has flair. 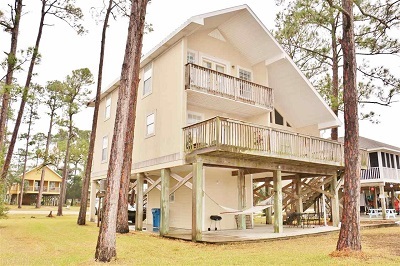 This cute beach cottage has tons of potential for the perfect life style. Imagine living within walking distance to restaurants and beaches while living on a Lagoon front piece of paradise. Come see this one – it could be the one for you and your family!